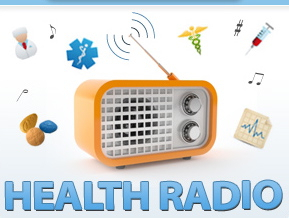 Cathy Ann Harrison, a respected Certified Registered Nurse licensed in Virginia, educator, business owner, a decorated Reserve Navy Officer with the United States Navy Reserve and the president of the Virginia Association of Nurse Anesthetists joins the show. What is a nurse anesthetist and how do they differ from physician anesthesiologist? What is the education and experience requirement for becoming a nurse anesthetist and how does that differ from a physician anesthesiologist? What is the importance of the role of a nurse anesthetist? What do nurse anesthetists bring to the table in shaping the future of healthcare? What do you personally believe should be a path toward better healthcare and lower costs? Cathy Ann Harrison is a respected Certified Registered Nurse Anesthetist (CRNA) licensed in Virginia, a decorated Navy Officer with the United States Navy (Reserve Component), an educator, entrepreneur and the president of the Virginia Association of Nurse Anesthetists. As a Certified Registered Nurse Anesthetist with an office-based anesthesia practice, LCH Anesthesia Services, LLC in Richmond, Virginia, Cathy Harrison, CRNA, MSN, has provided quality anesthesia care to thousands of Virginians for over 33 years. As a United States Navy Officer, Captain Harrison has served with honor and distinction in the Navy (Reserve Component) for 21 years. She was recently appointed as the Commanding Officer of Operational Health Support Unit, Bethesda, supporting Walter Reed National Military Medical Center—the first and only CRNA in the Navy (Reserve Component) to receive the honor of serving as a Commanding Officer for an operational health support unit. 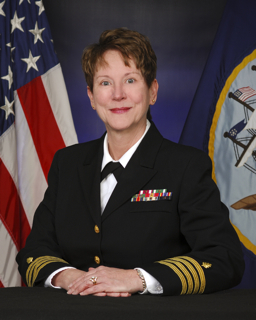 In this position, she oversees the more than 600 military physicians, dentists, nurses and medical service corps officers and corpsmen who provide health care to wounded military personnel, active duty and reserve component military members and their dependents, as well as retirees in a Joint Military Medical Command. Captain Harrison served as a respected and valued resource to the Navy Reserve during three separate mobilizations, including Operation Desert Storm in 1990, Operation Iraqi Freedom in 2003, and Operation Enduring Freedom in 2007. In recognition of her commitment and outstanding service to the military, she was awarded Navy Commendation medals in 2003 and 2008. In recognition for outstanding meritorious service to the United States, Captain Harrison was bestowed the Army’s Meritorious Service medal in 2008 for her service to Army, Navy, Marine, Air Force, and Coalition servicemen and women at Landstuhl Regional Medical Center in Germany. In 2011, in recognition for her outstanding meritorious service to the United States, Captain Harrison was bestowed with the Navy’s Meritorious Service medal for her exemplary work as Executive Officer of the Operational Health Support Unit, Camp Lejeune, NC. In addition to her other duties, Harrison is the president of the Virginia Association of Nurse Anesthetists (VANA) which represents over 1200 Certified Registered Nurse Anesthetists and student registered nurse anesthetists in Virginia. Harrison holds a BA degree in Health Care Administration from Graceland University (Iowa) and a Master’s degree in Nursing from Phoenix University. She received a diploma in nursing from Mercy School of Nursing, Charlotte, NC; and a diploma in Nurse Anesthesia from the Medical College of Virginia at Virginia Commonwealth University. She is a faculty member at Bryant and Stratton College where she teaches nursing students in the associate degree program. Harrison‘s husband and son reside in Midlothian, Virginia.